I've upgraded to support F4A! Just returned from a few days at AMS (will post photos later) and the extensive Viewing Terrace has been cut back to give views of part Pier C, all of D and part of E and 3 runways. It still offers views of most movements, but more difficult to get the sun behind you for photos. It is still free to enter. Thinking of popping over myself very soon, but is the viewing area only available once you have passed through passport control ? No, it is landside. The "Panorama Terrace" is accessible from departure area 2. There are restaurant/toilets before you go outside. 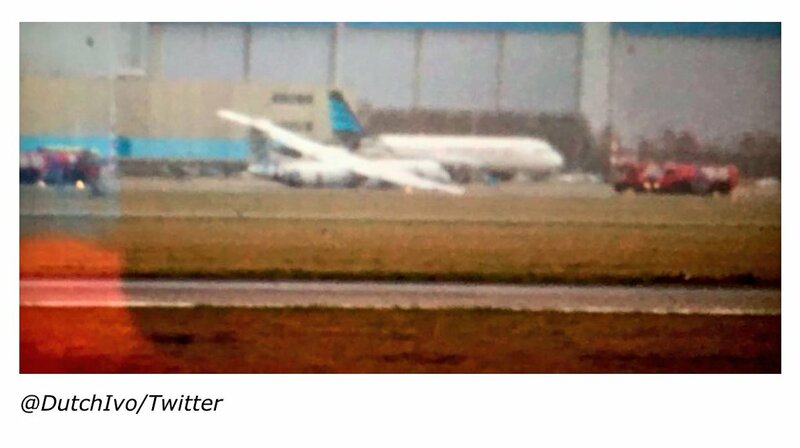 Also F100 PH-OFE is displayed up there. I have now had the time to sort a few photos taken at AMS last week. Can you access it without going through security? Great! Thanks! Give me something to do the next time I have a layover there. The Dutch government has ended talks with the US government over allowing US immigration pre-clearance at Amsterdam Schipol airport following President Trumps Executive Order on immigration. Also the Irish government is reviewing it. The UK has been in similar discussions to introduce pre clearence at UK airports. I'm guessing with the UK pretty much in Donald Trump's pocket these days, there's likely to be no change here. 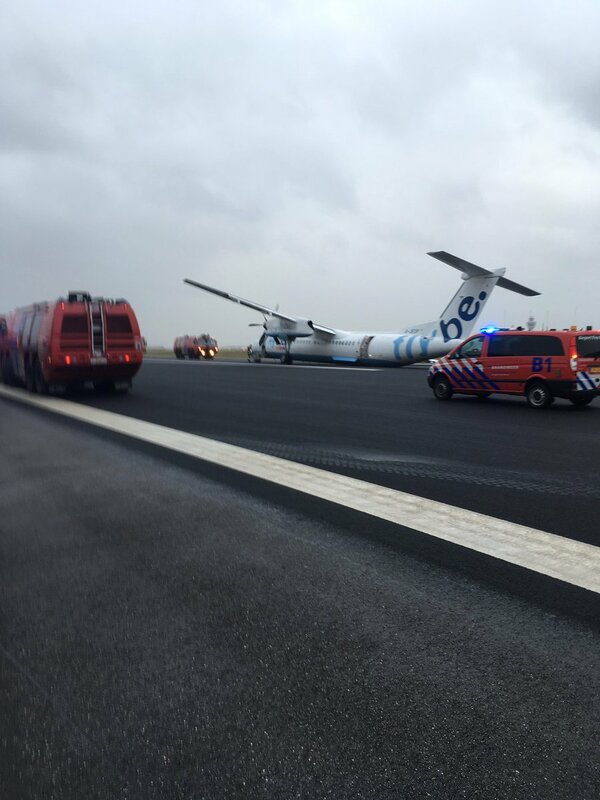 Understand a #flybe Dash 8-Q400 aircraft has crashed at #Amsterdam Schiphol inbound from Edinburgh operating service BE1284 this afternoon after it looks like its right-hand main under carriage has failed. Here's a video from somebody on board the flight. Crowdfunding is now required to keep Forums4airports going as advertising revenues have dropped substantially over the last two years despite increased viewing numbers and forum users. Your help will go towards paying for domain names, server changes, forum updates and so on so we can continue to operate as a free to use service for everyone. There is no obligation for you to help us, but if you do, your help will be gratefully appreciated.